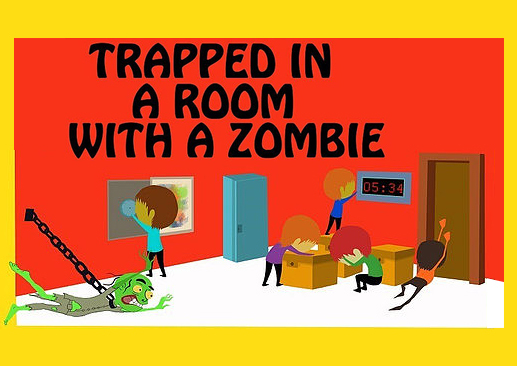 Ninja Escape presents two hilarious zombie escape room adventures. Way one: TEAM vs ZOMBIE! - You and your team of Ninja are locked in a room with a funny and ravenous Zombie chained to the wall! Hidden in the room is a key that will unlock the door to your freedom. Every five minutes the hungry Zombie's chain gets longer and longer and within an hour, the Zombie will be able to reach you. You have 60 minutes to solve puzzles, find the key, and escape without getting eaten! Just your team against the puzzle. Way two: NINJA DUEL!! - Both zombie games have been engineered to be the exact level of difficulty. 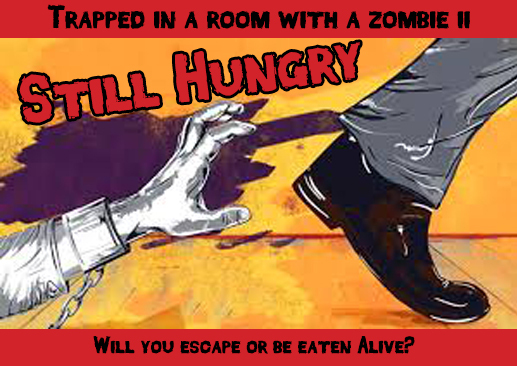 You will battle another team to in a race to the end in our two connected zombie chambers. The rooms are connected so you will always know where the other team is and how far along you are. A mind blowing battle of wits.